In the past, the digital market used to be focused on the web, but in recent times, the things have taken an unpredictable turn particularly with everyone wishing to specialize in mobile. In current days, there is an increased demand for smartphones as there is the overwhelming importance of them. Also, it is a relatively latest technology which is yielding a higher employment rate for a lot of skilled mobile developers. Any mobile application development now looks for hiring great app developers. There are a lot of operating systems in the mobile domain that seek to capture a large number of customers via a range of different viable strategies. The entire implementation of iOS has certainly led to more impact on the digital world. More app developers, as well as mobile app development companies, are now getting on this particular platform in order to promote their own strategies and also improve mobile app development. Apple’s iOS is among the most famed mobile OS, which requires quite a specific approach in order to develop apps. Unlike most of the regular web apps as well as desktop software, development of an app on this particular platform requires quite a bit of strategic planning along with implementation. Over the years, iPhone app development has certainly risen in order to become one of the greatest business ventures in the entire world. It is attributed to the fact that virtually every business and individual wish to get on this platform to make their own ideas as well as products and services. Also, Apple is not even relenting in any type of way in order to make sure that the users are provided with apps without any hassle. They have succeeded in establishing quite strict standards which need to be observed by the developers who want to get on this platform. 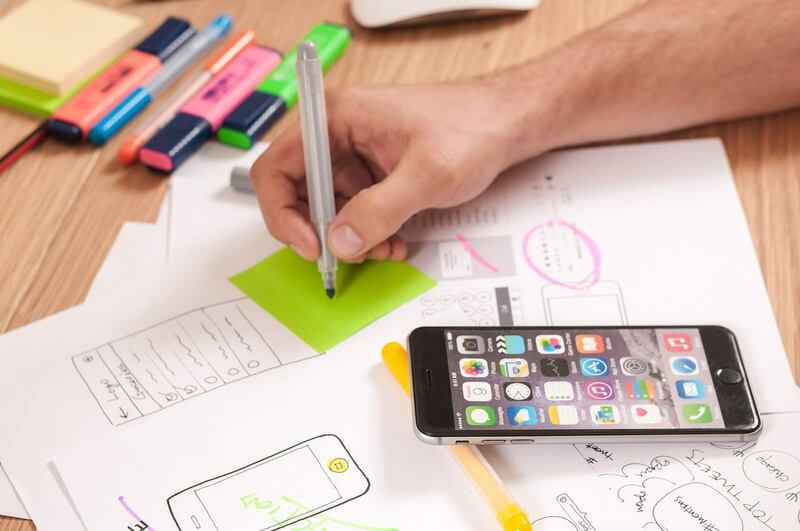 Before any particular app starts to gain visibility on the Apple App Store, it must undergo a thorough design as well as development process, which is strictly based on the iPhone app development standards. This also includes thematic structures, seamless UX and UI, along with continuity. Any business looking to create a standard mobile app on this platform needs to follow and adhere to the specified design paradigm of Apple. When it comes down to iOS app development, there isn’t any limit which can be easily achieved on this particular platform. You can easily get on the Apple App store to see this all by yourself. Most of the businesses consider iOS to be the most beneficial and lucrative platform where different concepts can be turned into realities. With the availability of right resources and team, any concept can be brought into fruition. As a market leader, iOS is actually paving the way for efficient mobile app developments. Most of the iPhone app developers work to get the most out of this platform. They harness the purchasing power of their different clients and customers by developing different productive apps which have a sleek design. As a result of this, many owners of the app, as well as users, are now enjoying the enriching experiences from the different dynamic designs that are created through iPhone app development. This helps in enhancing the mobile interactions, and the technology is now helping in generating millions of dollars for different clients all over the world. iOS app development will certainly be going to be the future. Let’s look at the key aspects to understand it. Coding is the basis of app development. If it goes down, then the entire app development goes down with it. While Java is used by Android developers, iOS developers have certainly welcomed the newly launched Swift. It comes with the promise of delivering better results with very few codes. It also acts as a great translator between the computer and the coder and also helps in conveying to the computer what exactly you wish to do. To build an iPhone app, hire iPhone app developer who is well-versed in Swift language. iOS emulators are quite great in speed and support when it comes to comparison with Android emulators which can slow down the Android app development and make things tougher for Android developers. So, iOS app development is certainly ahead. It is a proven fact that Android app development requires longer codes, and it is marred with slow emulators which leads to more consumption of time for developers. Even though few of the codes are auto-generated, it still needs to be read as well as debugged. iOS app development consumes less time in comparison. Apple has certainly shown a great commitment toward its developers by providing XCode, which is better than Android Development Studio. Android app development faces significant challenges due to a large number of brands, platforms, and screen sizes. You can make a perfect app, but you might receive a lot of emails about different undetected bugs that are spotted on different phones. In this case, iOS app development is quite uniform as it is for limited versions and devices. iOS users generally belong to the higher income group who are more conducive to spending on different apps. Apple has paid billions of dollars to the iOS app developers, much more than Android. iOS app development as picked up the pace in recent years with increasing penetration of iPhone in the market. It has led to more iOS apps in the Apple App Store. They earn more revenues, and they are quite easier as well as less time-consuming to build. iOS users tend to spend more on the iOS apps, and they regularly upgrade to the latest versions of iOS, which means you can stop working on different older versions. Switching to iOS app development is definitely worth considering.